Walt Disney was a true visionary whose desire for escape, iron determination and obsessive perfectionism transformed animation from a novelty to an art form, first with Mickey Mouse and then with his feature films–most notably Snow White, Fantasia, and Bambi. 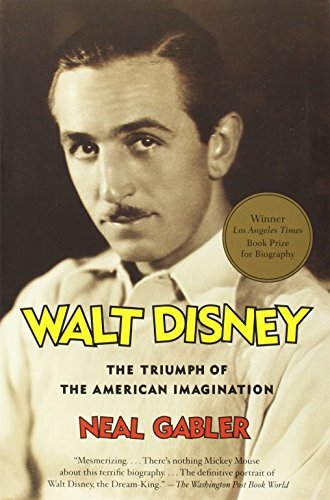 In his superb biography, Neal Gabler shows us how, over the course of two decades, Disney revolutionized the entertainment industry. In a way that was unprecedented and later widely imitated, he built a synergistic empire that combined film, television, theme parks, music, book publishing, and merchandise. Walt Disney is a revelation of both the work and the man–of both the remarkable accomplishment and the hidden life.